Every year, the Siglo Foundation, tourism promotion agency of Castilla y León, invites us to participate in the various familiarization trips that they organize. This year, on the occasion of the exhibition about The Ages of Man in Aguilar de Campó (Palencia), the appointment was in the Palencia Mountain, a beautiful and still unknown location within the great region of Castilla y León. We started our trip in Lerma (Burgos), headquarter of the Appellation of Origin Arlanza (one of the 14 A.O. vineyards of Castilla y León) and chosen by the Duke of Lerma, during the S.XVII, as Court of Recess for King Felipe III. Strolling through its streets, visiting the Collegiate Church, going through the passage that connected the palace with the numerous churches and convents under the guidance of Gustavo (the local guide) we could travel in time. We were truly surprised by the Plaza Mayor and the great Ducal Palace, currently used as Parador. Once we got to the province of Palencia (less than two and a half hours from the international airport of Madrid) we were able, during the days that this trip lasted, to contemplate a small sample of the largest concentration of Romanesque art in Europe. Each town is dotted with churches, convents and Romanesque monasteries, architectural jewels of the 11th-12th centuries. In addition, many of these buildings are now being used as part of a tourist and cultural complex such as the Santa María la Real Monastery, the Cultural San Pedro, the Mave Convent or the Santa Eufemia Farm, where we could enjoy their wonderful hospitality and gastronomy surrounded by a unique environment in which culture, senses and nature come together. Nature is a very important tourist resource in the Palencia province, especially since the inclusion of Las Loras geopark in the UNESCO Global Geoparks Network, which includes in its natural, geological and cultural heritage a big part of Palencia’s northern area. Some of the best moments were enjoying the sight from the Peña Mesa viewpoint, from where we could see Cantabria and Burgos, overwhelmed us by its size and beauty, and the sunset on the terrace of the Cervera de Pisuerga Parador (outside Las Loras), contemplating Palentina Mountain’s highest peaks while we enjoyed a Ribera del Duero wine, which gave the perfect finishing touch. We ended our trip passing briefly through the capital of the province, Palencia. This allowed us to have a quick glance and left us wishing to return again to that city with its great cathedral and its neoclassical, plateresque and modernist buildings. Once more, took part at the Leading Travel Trade Show ITB Berlin. It is the foremost business platform for global touristic offers, with more than 10.000 exhibitors from 180 countries and more than160.000 visitors from all over the world. So, it’s a great opportunity we try to be part of year after year. 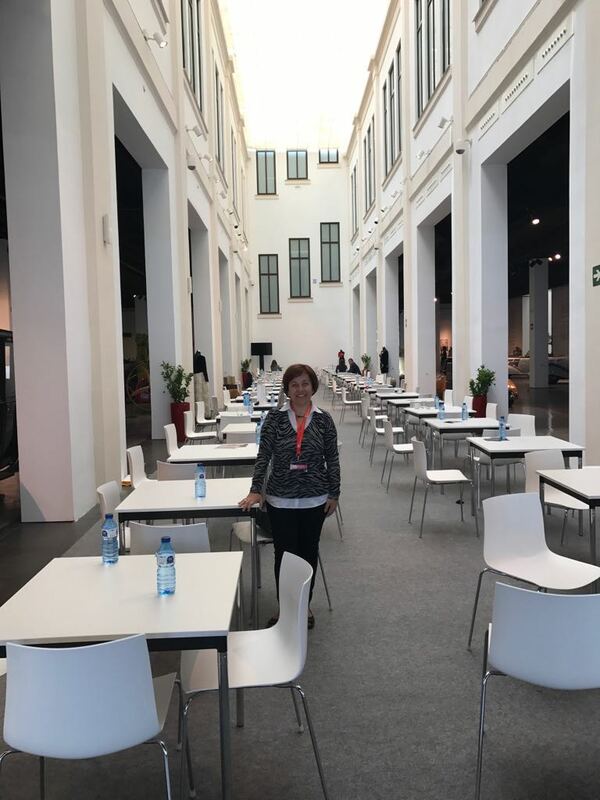 Our top Sales Representative Marimar had the opportunity to keep in touch with providers and clients from all over the world and at the same time make new contacts. ITB Berlin is not only a well-known marketplace for travel destinations, it is also an indicator of booking trends for the upcoming travel season. We are really pleased about the results from the ITB and to see how the interest for our destinations is constantly growing. After all, what we sell isn’t a mere programme or activity, what we sell are unforgettable experiences. Therefore, we need experienced professionals such as Marimar who are able to transmit the value of our destinations. You can watch our video from the ITB here. Goodbye Berlin, see you next year! All societies have their own particular traditions, beliefs assed down with symbolic meaning or special significance with origins in the past. 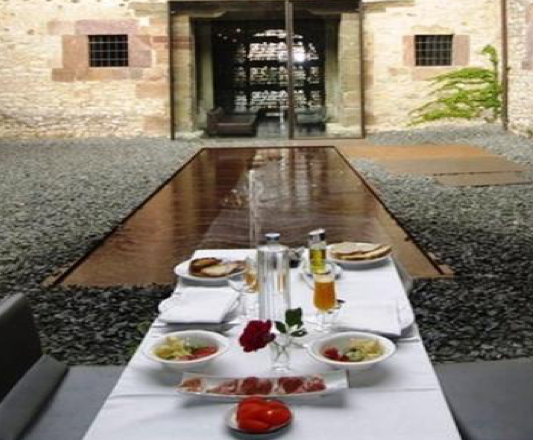 Today we would like to share one of our Basque traditions with you. 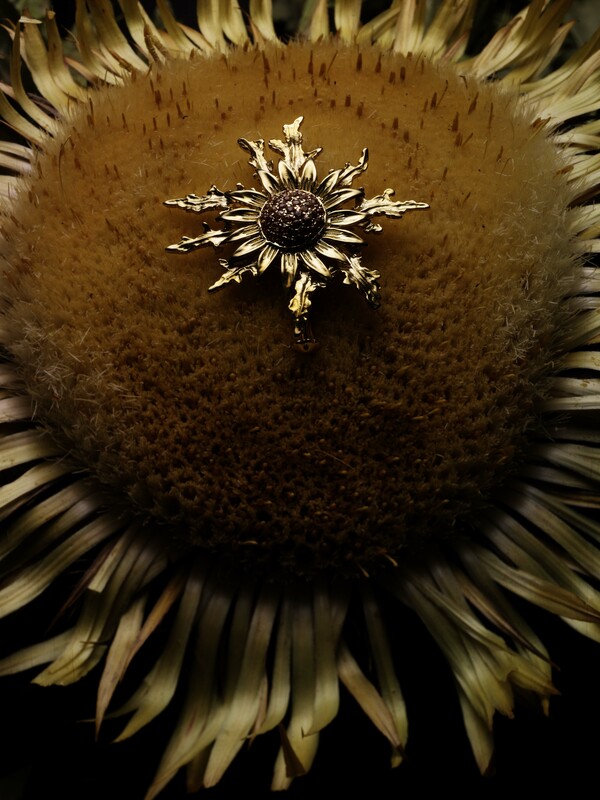 Eguzkilore, also known as Carlina Acaulis, is a plant from northern Spain that has become a traditional symbol for the population. The legend of the Eguzkilore flower is very old and has been transmitted orally from generation to generation, perpetuating the belief that this flower has a magical power. It is said to have the same mystical functions as the ones attributed to the sun and that is why its dried flower is often placed in the entrance door of many farmhouses. The traditional superstition believes the flower drives away evil spirits, witches, diseases, storm and lightning. In the Basque Country, the Eguzkilore represents peace and development. In Spain, we have a lot of traditions like this that keep our past origins alive and that is why we think it’s important to melt them with our present life. A good example is the jewelry created by Zuluaga, Basque jewelers since 1950, who use traditional patterns to create unique luxury pieces. At their shop Eguzkilore you will find the finest handmade jewelry. We give our clients the opportunity to live a personalized experience at the best Basque boutique shops that have been carefully chosen by us. It is not only about shopping but also about experiencing the power of our traditions melted with the most sophisticated products. Among our key Strengths, we put special attention on innovation. It’s extremely important for our Company to offer new and genuine activities that our clients have never experienced before. 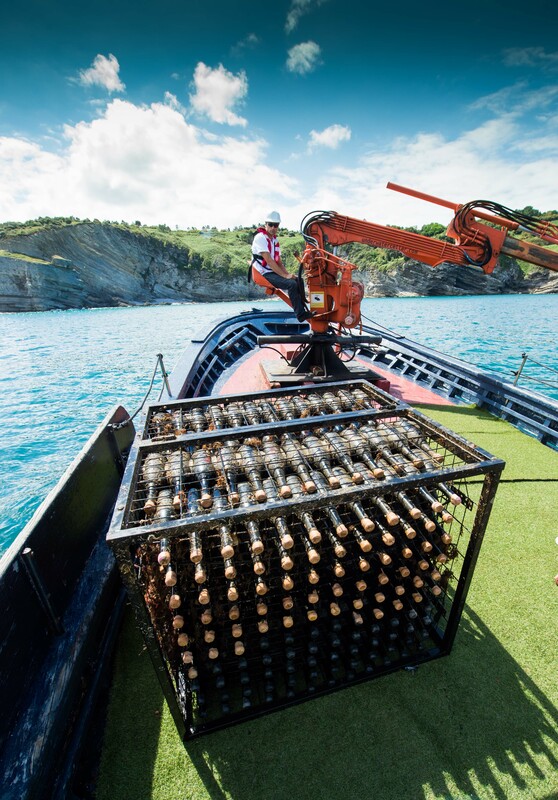 This is the reason why we offer a unique experience for the most discerning palates: an underwater wine tasting. Ever heard of it? 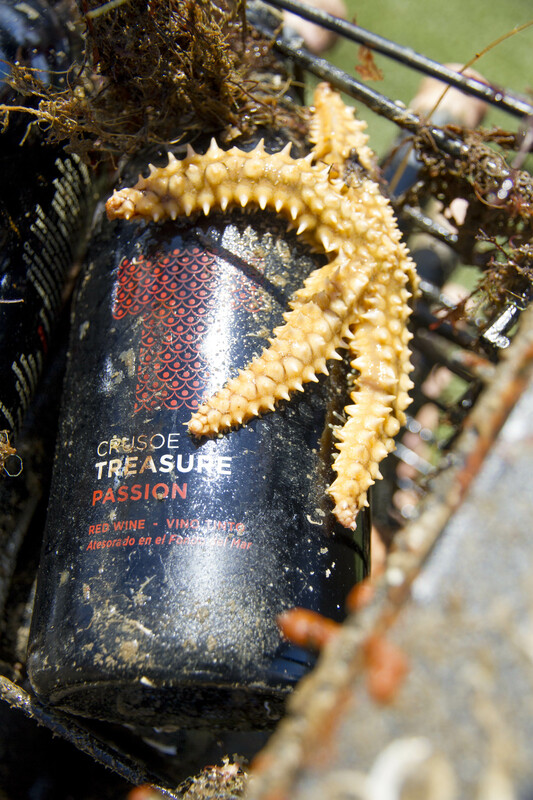 These limited-edition wines have a unique aroma and taste due to the way they have been aged: under the waves and currents of the Bay of Biscay. We offer you the opportunity to taste one of the most special wines in Spain. And it is not only an innovative experience, but also a sustainable activity since the cellar was designed on 2008 as an artificial reef and is now a natural laboratory where various marine biology studies are carried out, attracting interest from various universities and institutions. 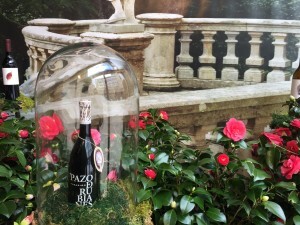 The Company also performs periodic monitoring to assess biodiversity and the possible effects of climate change in parallel to the beverage production under strict quality controls. Crusoe Treasure is one of the few companies to offer this innovative product and we are glad to work with them in order to offer you a special experience to remember. Cruise Ships at Bilbao Port, many guests, many options. The past 31st of May, The port of cruise ships in Bilbao, Getxo set its record this season, with more than 8700 guests and 3000 crew members in total. Independence of the Seas, the biggest of the cruise ships that day in Port, helds one of the highest rock climbing walls, golf simulator, ice skating rings, a wave simulator and more than 10 pools and jacuzzis, a theater for 2000 people and many options for dining, but the guests had other idea in mind, visiting Bilbao. The Independence was docked in the superb crystal building that represents today the Port of Bilbao. A magnificent building, with all the requirements to make the transition from the ship top the pier an easy one. 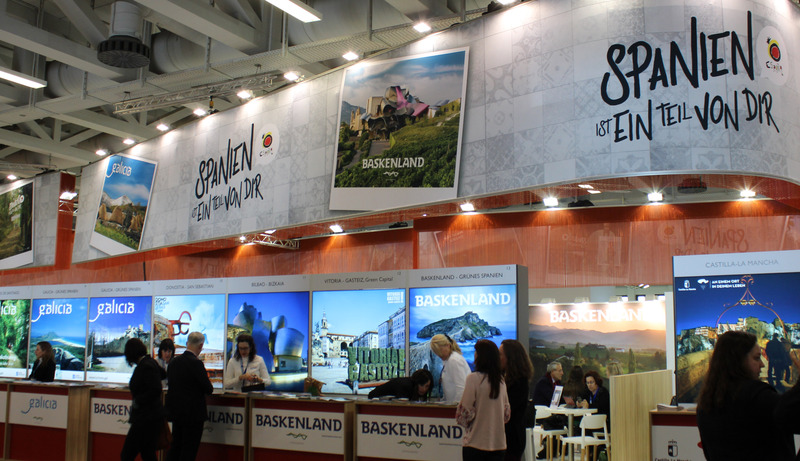 Guests were guided at the earliest hours to their tour bus, where hundreds of guests enjoy a full day of discovering Bilbao, Gernika, Castro Urdiales and many other places from the hand of our experienced guides from NIS. Thousand other guests were taken on their own to Bilbao downtown where they spent many hours until 5pm when the ship set sailed to their next destination, Gijon, Asturias. IMEX Frankfurt a date you cannot miss. May 16th it is a date that everyone in the Tourism business knows. IMEX in Frankfurt, Germany, is the landmark exhibition for professionals working within the incentive travel, meetings and events industry, run by meetings professionals for meetings professionals. This year european exhibitors took nearly 45% of the space being the primarily option where 3500 exhibitors of 150 countries had their space. 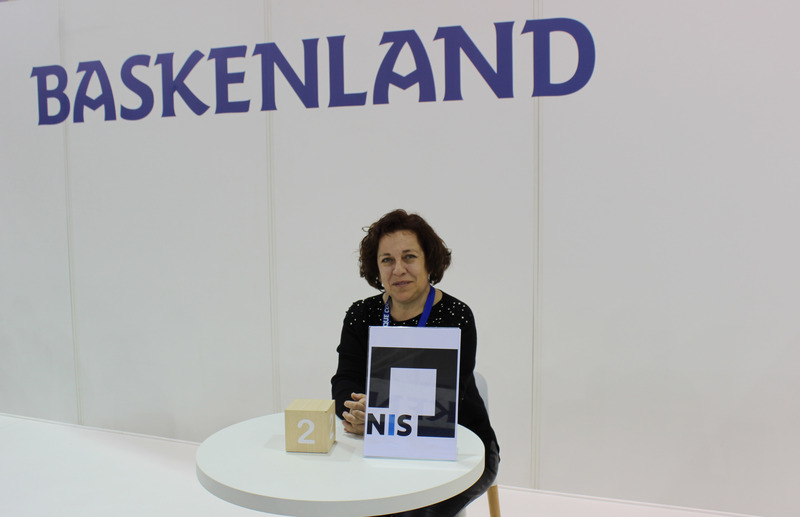 14.000 participants in total, thousands of appointments, an another success for NIS. Miramar, our avid traveller and experienced representative, had the chance of spending 2 days at the IMEX Frankfurt full of scheduled appointments, bringing her innovative ideas and showing once more, that there is many opportunities in Northern Spain for big or small companies, where we take care of their request and accommodate every wish, adopting ideas, and promoting new ones. 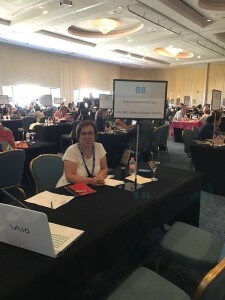 From the 7th to the 10th of May, Marimar, our best representative for NIS, here and abroad, brought to Cancun, Mexico, the best destination ideas for hundreds of incentive vendors from across Europe and the Americas in the yearly America Forum 2017. This networking experiences are a great opportunity to show and learn about different destinations, maybe not well known from far and bring them the opportunity to be close, very hard work days, where agendas are full of meetings. Meetings where we get to teach and learn a bit more about what we have to offer, different experiences, highest quality in services and innovative ideas and much more. 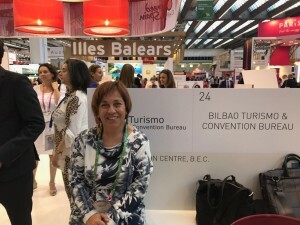 NIS represent the northern part of Spain as it best, demonstrating once again that we work hard, we know what we sell and we want to show everyone why is becoming one of the best destinations in Spain. More than 40 International Buyers experts of MICE are gathering for a one on one meetings in the South of Spain, the astonishing Marbella, Malaga. It is a great opportunity for networking between MICE suppliers and top European agencies, corporates and associations organizing meetings, incentives, conferences, international congresses, product launches and events. NIS, is being represented by Mari Mar, our top Sales Representative and the best ambassador that we could have, she brings to this kind of networkings all her experience and knowledge of all northern Spain, for small to big companies, where she can achieve what she does best, offering not only the best programs, but the best quality that any company can ask for. Experience can get you to many places, and NIS too. Bringing a bit of the northwest Spain to the Basque Country, Galicia, a well known place first of all for their pilgrim race, but Galicia is more than that, It is surrounded by beautiful lagoons, crystal-cleat rivers and forrest and never to forget one of their strong keys…Gastronomy. The best fresh seafood can be found in every corner of each town you may visit, the wines are recognized worldwide, fresh whites that accompany the afternoons after a day of visits, a day of discovering the different sites that Galicia brings to you. The past 6th of April, NIS organized with the Tourism Agency for the promotion of Galicia, TURGALICIA, a gathering in Bodega Urbana, in the center of Bilbao where hundreds of travel agents where invited to enjoy an afternoon of wine and Camellias, the place looked like a forrest where you could enjoy a wide variety of wine tasting and a cocktail from the one Michelin Star Chef, Pepe Solla, from Pontevedra. A presentation from the destination was shown and the participants were given massages with products related to Wines. Galicia has many choices, many environments to be discover and a truly a unique experience for all. Programmed visits to Historical buildings. Getxo, one of our most charming towns in the outskirts of Bilbao, it was erected in the 12th century and what started as a place for Fishermans, was soon the selected spot for the most prominent families, grand villas began to be built, which initially led to become one of the summer holiday resorts for the aristocracy and upper middle classes from the inland provinces and also from Bilbao. Begone Point Gallery is adapted to the coastal geography and was built by Ricardo Bastida in 1919. With columns and covered by a balustraded terrace. Its main function was to continue and finish off the containment and defence wall of the cliff on which the Atxekolandeta family seats stand, location of the Echevarrieta family mansion – an English-style home designed by the architect Gregorio Ibarreche in 1910, and which is no longer standing. as one of the emblematic buildings, and due all the interest in this heritage site, Getxo has offered one more year free visits to its galleries. NIS has the privilege of providing the guided tours in different languages ,showing the part of the history that still remained untouched and how the University of the Basque Country is contributing to their recovery. This is an experience in Getxo that you shouldn’t miss. This blog is curated by the team behind NIS. We publish inspirational content about the experience of meeting, cooking, eating, sharing, discovering.